Thank Goodness because I was getting exhausted from all that swimming! After much rest and partying, I will continue my swim THROUGH my 50s rather than TO my 50s. in me and set my “hard limits” thanks to 50 Shades of Grey. *I’ve got to figure out WHO the 50th president of the United States is. I think I will thank the heavens above for the wonderful life I have and the amazing friends and family I am so blessed with. For my beautiful and loving kids, my ok health and for the opportunity to spend the rest of my life with the man I so adore, who is my everything. Thank you all for being in my life and for reading my silly words week after week. Happy belated Birthday! Did you get all that finished? Girl, happy, happy, happy birthday! And many more!!!!!!! Blessings on you! Celebrate! You deserve it!! Thanks, L.Marie! I had a fantastic birthday weekend doing the things that made me happy. There’s more celebrating to be had! Watching the 50th episode of Seinfeld, dancing to fifty-cent, and dancing to Brick House 50 times after that sounds pretty cool. Hope you had a great night! Gracias, Guat! I danced to some salsa as well! I also sang really loudly through the house (off tune – of course) and my family hid from me. LOL. Thank you, peace! A lot of music was heard and danced to this weekend! Lot’s of oldies and newbies and funkys. That’s the best way to celebrate, right? 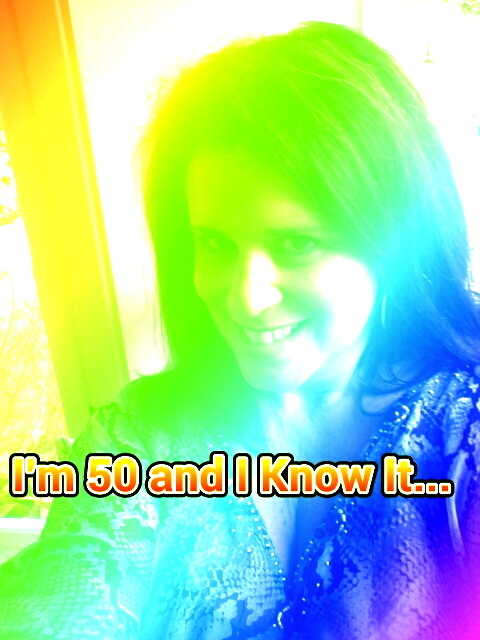 Well, 50 just means you’ve had time to develop your awesomeness to epic proportions. Happy birthday! I have enjoyed this journey with you, Maria, and am very glad I got out of the wilderness in time to wish you a Happy Birthday on the actual day. I hope you’ve had as many gin and tonics as you wanted, and everything else was perfect. Here’s to the next fifty being even more amazing than the first. I can’t believe the day is finally here! Happy birthday and hoping there’s many more! Happy birthday! So happy you have reached this milestone happily. (Unlike some of us who are still dealing with the aftermath two years after the day!) Can’t wait to see what you do with the next 50 years! Yea, who does she think she is, anyway? A very happy 50th birthday to you! You are one in a million….wish it could be sunny out today…but what a nice lazy rainy day to kick back. Enjoy and keep swimming. Happy Birthday Cuch!! Half time show… check! Get ready for the third quarter!!! It’s always a game changer… that third quarter!!! Cheers to YOU!! Happy, Happy Birthday! I would eat cake with Mark Harmon anyday. Happy freeking Birthday!!! May it be an awesome one, leading to more awesome ones. Cranking up the music here and partying along with you. 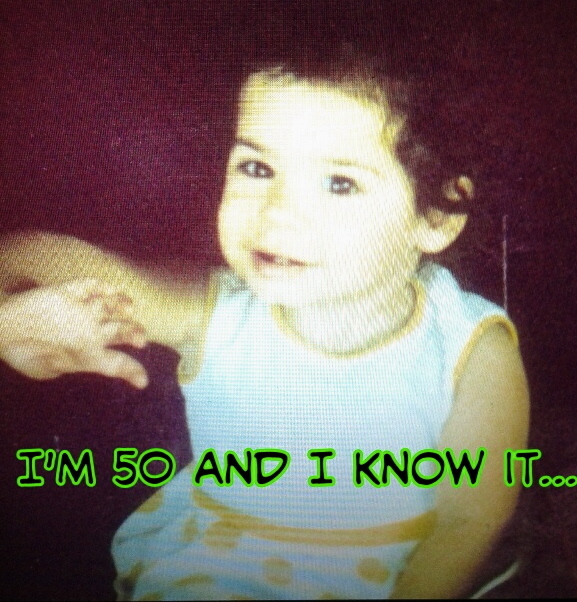 I get to start my countdown to 50 in one week. I’ll be 49 on 9/9!! Happy Birthday, Maria!!!!! I can’t believe the day has finally arrived. I hope you enjoy this special day and all the special days to come. I love the caption under Salma’s picture…hilarious!!!! ENJOY! Ok. warm up years are done. Now go out and raise some serious hell. Guapo, the hell has only just begun! Enough of being politically correct and well mannered! For a little while at least. Thanks for the bday wish! I can say from experience, the next part is even better! Especially with friends like you. Happy Birthday, Cuch!! And many, many more. Enjoy your day – it only comes once – and act like a spoiled 50 year old princess – you deserve it! Yay. Take it for as long as you can! You deserve it.